As much as we hate to admit it to ourselves, our college days are pretty far behind us. Gone are the days of wandering around the tennis courts looking for people you know from class. Welcome to grown-up tailgating. 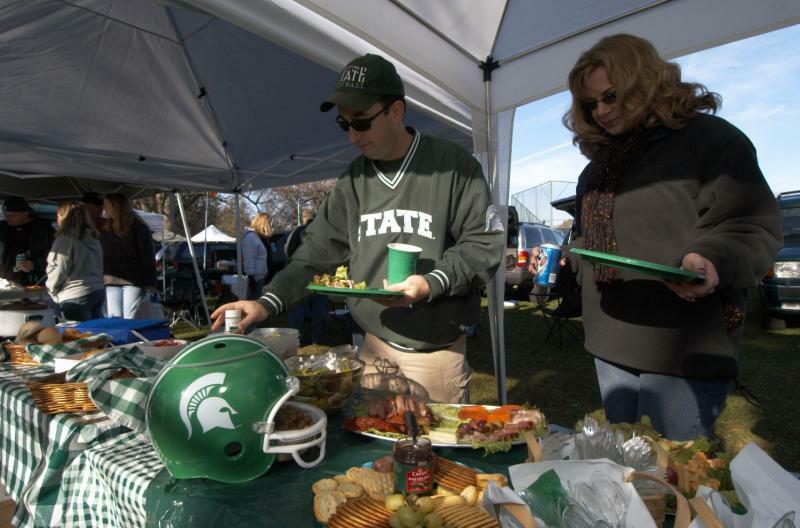 It is time to put some effort into planning, actually taking time to eat, and inviting your favorite Spartan fans. 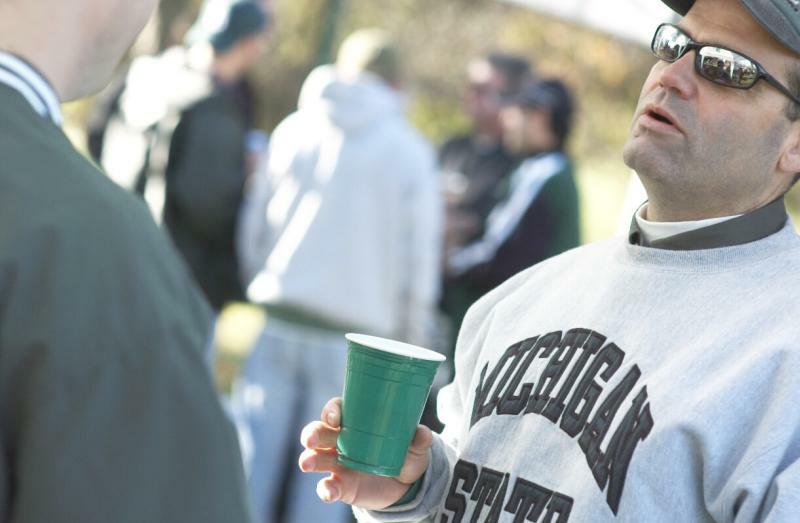 Follow these tips to make sure your next tailgate is as flawless as Mark Dantonio’s rare sideline smile. Plan Your Menu. The days of two bags of Doritos and beer equaling a tailgate are over. Plan your menu ahead of time, remembering to take any guest’s dietary restrictions into account. Once you have a list of dishes, assign people to bring items, build out your grocery list, and make a list of things that need to be packed. Will you need a grill? Don’t forget the tongs and lighter. Will you be using a crockpot? Make sure you have a power source. Be prepared. Now that we have to drive to campus - not just roll out of bed - it is important to be prepared. Mornings are early. Pack your car with setup in mind. Make sure you don’t have to empty your car to get to the tent and tables. Plastic drawers are perfect for tailgate - affordable, durable and can slide right under your table. This is a great place to store all the random tailgating things you will need each Saturday. Don’t forget paper towel, a lighter, trash bags, cups, bottle opener, a knife, scissors, first aid kit, cutlery, paper products, and decorations! Be a Cooler Champion. There really is a right way to pack a cooler. Start with cans and bottles, then layer ice, add water tight reusable containers, layer more ice, and top with anything in softer containers or items like plastic bags. If you are hosting an army, break drinks and food into two coolers. Place the food cooler under a table and near the grill for easy access. 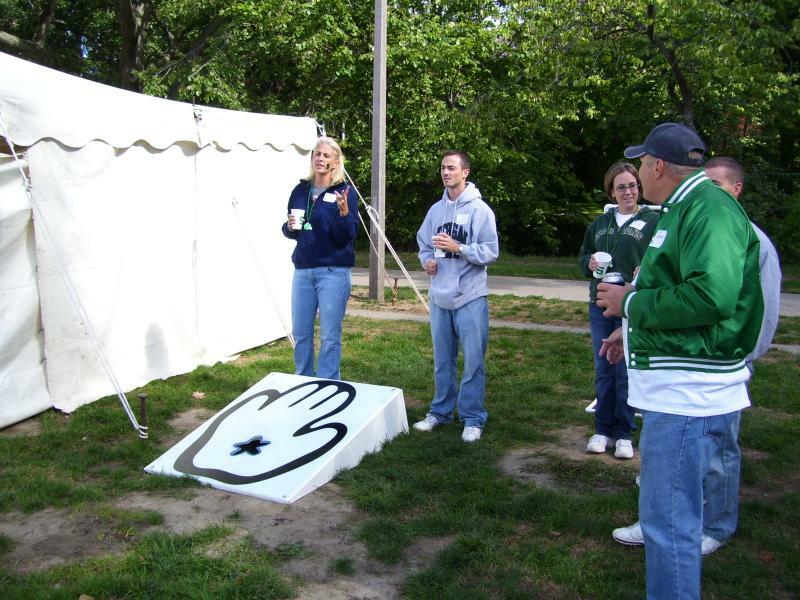 The beverage cooler should be in a visible, open area to accommodate a crowd. Pro Tip: Instead of ice or ice packs, freeze water bottles and use those to keep your food cold. Not only will they stay cold longer, but once they do melt, you have perfectly cooled water to rehydrate after the game. Location, Location, Location. Get there early to be sure that you are not ages away from the stadium or too close to the tennis courts. If you have multiple spots and cars, be in line together. Check out what time the lots open here. Have a lot of people joining you? Bring a flag or balloon that will be visible from a distance and above the crowds. Don’t spend your entire day on the phone playing Marco Polo with your guests. Just remember to get something unique and distinctive. You will not be the only one with a team flag. Class it up. On-theme decorations are one of the items that can take your tailgate from basic to fabulous. From green and white plates, straws and napkins to tablecloths, flags and string lights, you’ll wow your neighbors with your cute setup. Things like temporary tattoos, pompoms, ribbons or buttons are easy, cost-effective ways to delight guests of all ages. Pro Tip: During the first game of the season, buy the jumbo popcorn that comes in a souvenir plastic bucket. This makes a great reusable bowl for chips or fill it with ice to keep bar items cool. Remember, we live in Michigan. Unpredictable weather is part of being a Michigander and it’s time to embrace it. No matter what the forecast shows, it’s always a good idea to have layers and rain gear in the car. In those colder months, your hands and feet will thank you if you bring hand and foot warmers. When it comes to a fall day in Michigan, layers are key! We keep a tub of Spartan gear in the trunk – it is a great way to keep all your green and white items at the ready for you or your guests. Game Time! One of the things that sets Spartan fans apart from the rest is our commitment to cleaning up our tailgate sites and recycling what we can. Leave it better than you found it so future generations of Spartans can enjoy our beautiful campus. When you are done cleaning up your tailgate, get ready to go into the stadium. This will be easier if you have reviewed the latest stadium rules. Even as an adult, you can’t take any bags or purses into the stadium (no matter how small), so fill up your pockets with your ID, cash/credit cards, tickets or anything else you might need. You can find the latest security measures here. The Party Doesn’t Have to Stop. Book a Hotel Early. 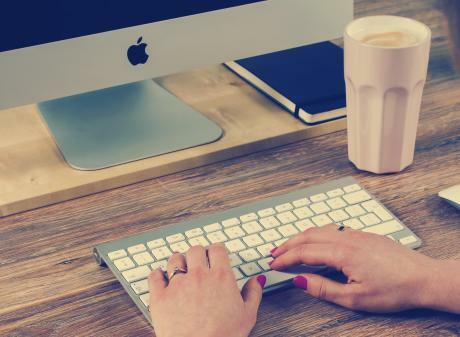 Enjoy everything downtown Lansing has to offer, while getting away from the too-rowdy crowd in East Lansing by booking a hotel in downtown Lansing. Between the great accommodations, inventive restaurants and exciting nightlife, it has everything you need to continue the party. Book early for big games! After the game, check out one of the stops on the popular Makers & Shakers Trail to try all of the Lansing area’s best breweries, wineries and distilleries. Downtown Lansing has a wide range of nightlife options for all ages and interests. Check out these 9 unique spots to make your night one you won’t forget. 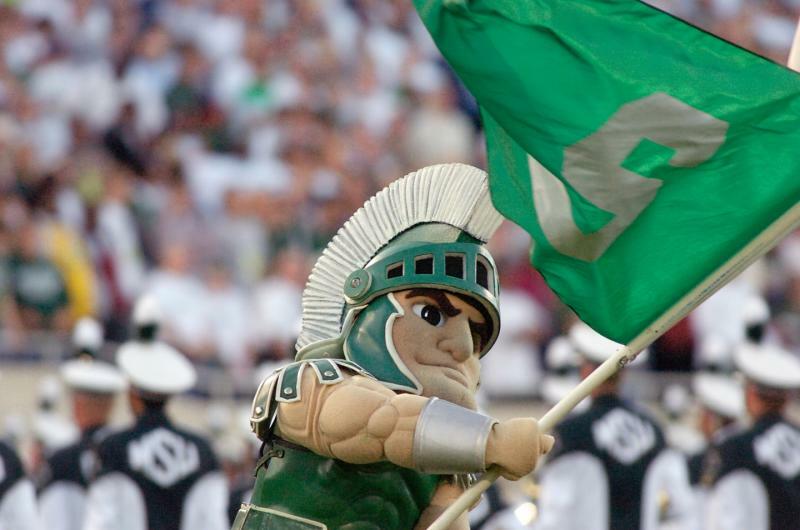 An alumna of Michigan State University, Kate bleeds green. 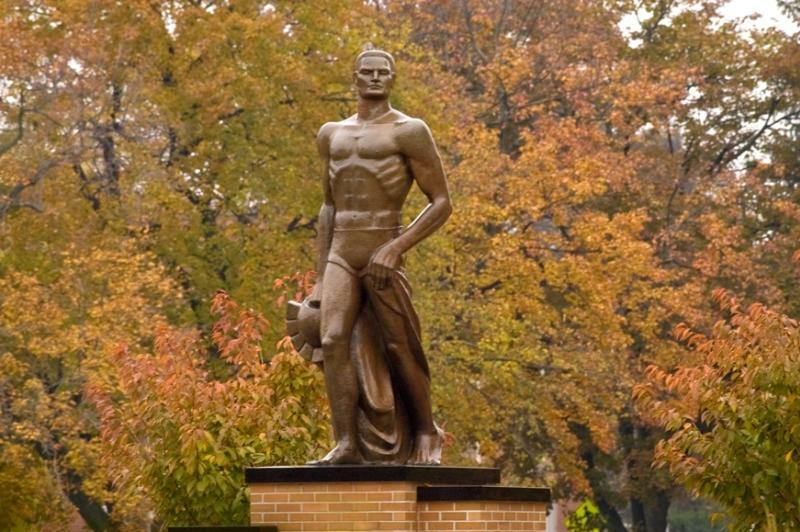 Now based in Grand Rapids, she still often makes the trip back to Lansing for Spartan Football and to explore the Greater Lansing area. Whether it’s chasing after her nephews at Impression 5 or meeting up with other MSU alumni to check off stops on the Makers and Shakers trail, Kate enjoys rediscovering the place she once called home, but now as an adult.